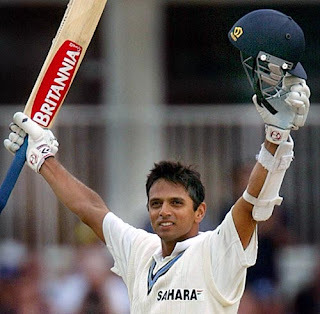 Some of my friends still say that Rahul Dravid never got his due credit. To be fair with them, if Dravid would have born in a different era or a different country, he probably would have been known as the greatest cricketer of that era/country. On the other hand, however, how many cricketers on the world have got any nicknames, and that too "The Wall"? I am sure most of the cricketing greats of this era and previous would love to trade that nickname with him. The world is biased towards flashes of brilliance. It does not qualify patience and hard work as inspiring qualities. The ability to stay focused for years when others were taking away all the fame, is the one quality that makes Dravid the greatest of them all. In the new age of T20s, the world will probably never see a Dravid again. But to the old timers, he will continue to remind that the greatest skill for success is consistency, and once the fame and aggression wears off, it is patience, focus, concentration and hard work that takes you to the next level. I salute you Rahul Dravid, for being there all this while, and for giving hope to the rare breed of hard workers.